The goal of the Web site www.lumatec.company is to present the activities and the services of the company. Lumatec owns the intellectual property rights or owns the rights to use all the items available on the site, including text, images, graphics, logos, icons, sounds and software. Any reproduction, modification, publication, adaptation of all or part of the Site, regardless of the means or process, is prohibited without prior written permission from Lumatec. 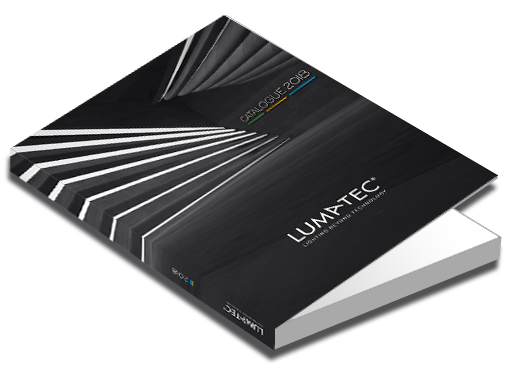 Lumatec can not be held responsible for direct and indirect damage to the equipment user, when accessing the site Lumatec, and resulting from the use of equipment not meeting the specifications in section 4 or the appearance of a bug or incompatibility. Interactive spaces (opportunity to ask questions in the contact form) are available to users. Lumatec reserves the right to remove, without prior notice, any content posted in this space that would violate the law applicable in France, in particular the provisions relating to data protection. If necessary, Lumatec also reserves the right to challenge the civil and / or criminal liability of the user, especially in cases of post racist, offensive, defamatory, pornographic or whatever the medium used (text, photographs ...). In France , personal data is protected by the law n ° 78-87 of 6 January 1978, Law No. 2004-801 of 6 August 2004 , Article L. 226-13 of the Penal Code and the European Directive of 24 October 1995 . During the use of the Web site www.lumatec.company, information could be recorded : URL links through which the user accessed the Web site www.lumatec.company, the provider of user, the Internet Protocol address ( IP ) of the user. In any event, Lumatec collects information about the user only for some services provided by the Web site www.lumatec.company. The user provides that information with full knowledge of the facts. In accordance with Articles 38 and following of the law 78-17 of 6 January 1978 relating to computers, files and freedoms, every user has a right of access, rectification and opposition to personal data concerning him. No personal information about users of the Web site www.lumatec.company is published without the knowledge of the user, exchanged, transferred , assigned or sold on any media to any third party. The aforementioned Web site is declared to CNIL under the number 1604634 v 0. Browsing the www.lumatec.company site may cause the installation of cookies on the user's computer. A cookie is a small file, which does not allow the identification of the user, but which records information about the navigation. The data obtained are intended to facilitate subsequent browsing of the site and also enable various measures of attendance. Any dispute in connection with use of the Web site www.lumatec.company is subject to French law. It is made to the exclusive jurisdiction of the Commercial Court of Lons le Saunier deemed solely responsible. Law No. 78-87 of 6 January 1978, including as amended by Law No. 2004-801 of 6 August 2004 relating to computers, files and freedoms. User : Net surfer using the aforementioned site.